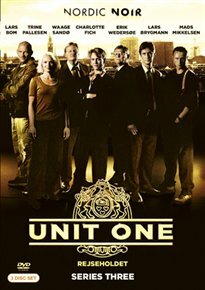 Dvd box set of the Danish crime drama – UNIT ONE: SEASON 3 – available this week. The third season of the Danish crime drama starring Mads Mikkelsen and Charlotte Fich which follows an elite mobile task force as they solve high-profile cases. In this series, unit commander Ingrid Dahl (Fich), Detective Inspector Allan Fischer (Mikkelsen) and the rest of the team investigate a number of crimes including an arson attack on a hotel, the violent murders of a whole family and a human trafficking ring linked to the Polish mafia.